Two of the world’s most esteemed audio brands join forces. DiS has listened to many great albums and film scores/audio recorded, mixed and/or mastered (including a few that we've released on our DiS label) at the legendary Abbey Road Studios, and we've experienced Bowers & Wilkins' incredible soundsystem at Øyafestivalen, Primavera and Womad, so we're thrilled to hear that these two companies have entered into a partnership. 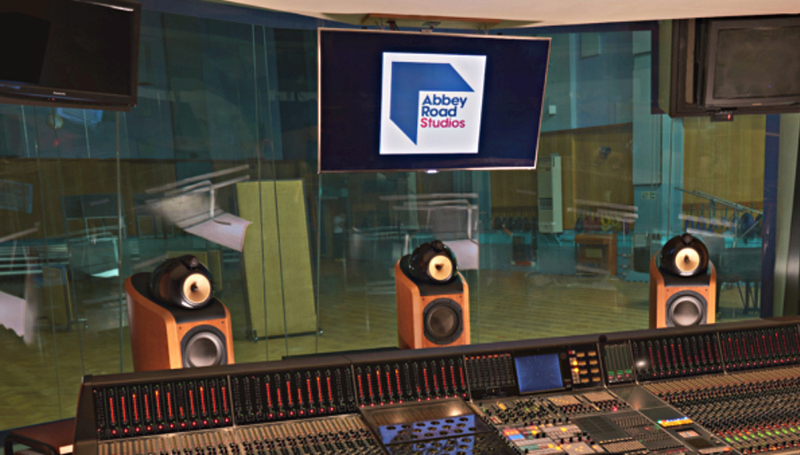 The partnership sees Bowers & Wilkins named as Abbey Road Studios’ Official Speaker and Headphone partner. The selection was based on Bowers & Wilkins’ long-standing commitment to performance audio for both studio and home use, as well as their product being the preferred speaker of Abbey Road’s award-winning engineers. Bowers & Wilkins - who have over 50 years of experience in audio excellence will be the speakers and headphones of choice throughout the legendary Abbey Road Studios, bringing best-in-class reference monitoring to the legendary Studios One, Two and Three, as well as The Gatehouse and The Front Room - two new studios opened in 2017. Abbey Road will adopt the Bowers & Wilkins flagship 800 Series Diamond; 800 D3 loudspeakers, which are hailed as delivering the most accurate reproduction of audio to date in these studios. The new partnership will see the two brands collaborate on a variety of engineering initiatives, bringing the teams together to further the goal of creating the most accurate recording and listening experiences possible for both studio and home use. Bowers & Wilkins has reaffirmed its long-standing commitment to the highest quality performance audio across luxury home speakers, headphones, custom installation and performance car audio. Within the last year, Bowers & Wilkins has introduced a series of new products to critical acclaim, including the 700 Series for the home, as well as the brand’s first Wireless Noise Cancelling Headphones, the PX. Under the partnership, Bowers & Wilkins products including the world-renowned 800 D3, among others, will be installed throughout Abbey Road Studios to deliver the most accurate sound experience possible to recording artists.